The subject matter of Experimenter is fascinating. The film is an utter mess. Somehow this biopic of acclaimed Jewish psychologist Stanley Milgram is getting positive reviews, with some critics even declaring it as a smart, stylized biopic worthy of its subject. Sure, it’s not the normal format for a biopic to be non-linear with the lead subject constantly breaking the 4th wall to look at the camera and narrate events in his life as well as potential inner thoughts. But I didn’t take this directorial choice as stylish or smart in the least – Instead, I found it ridiculously pretentious. 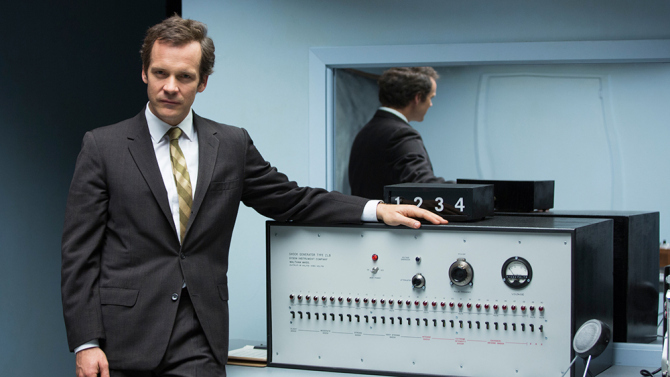 Experimenter begins with the most famous of Milgram’s 1961 obedience experiments. These scenes keep recurring in some form throughout the film, with a number of familiar faces (Anton Yelchin, John Leguizamo, Kellan Lutz, etc…) cropping up on occasion. These scenes should have been the hook of the film outright and not used as a stylish springboard for the director’s own experiment of trying to make a biopic into an abstract art-house film. Milgram’s experiments were groundbreaking and his way of thinking absolutely intriguing. It’s a shame that this film never truly portrays this character as a human being, but rather as a muse for the director’s own ego trip. 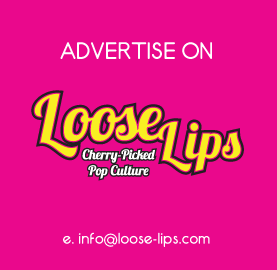 This entry was posted on Tuesday, November 17th, 2015 at 12:46 am	and is filed under Features, Film, Review.